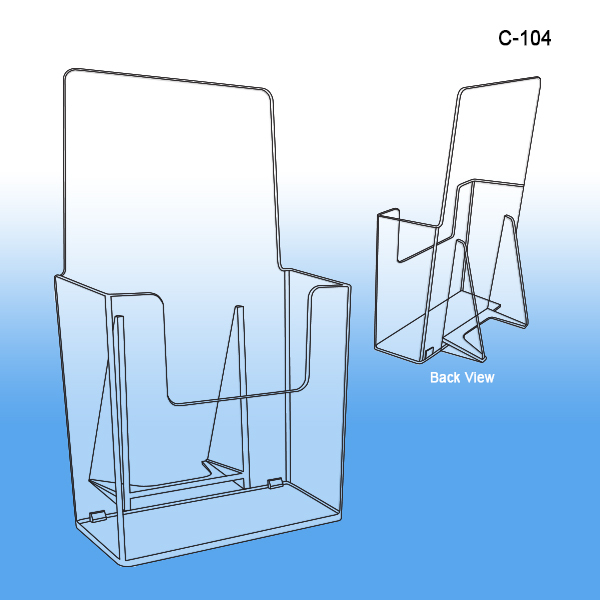 The C-104 is a very popular literature holder for counter or tabletop usage. 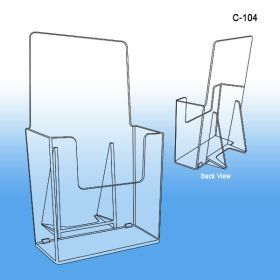 It is built to hold printed materials that are up to 4" wide such as rack cards or standard tri-fold brochures. 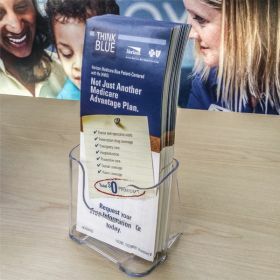 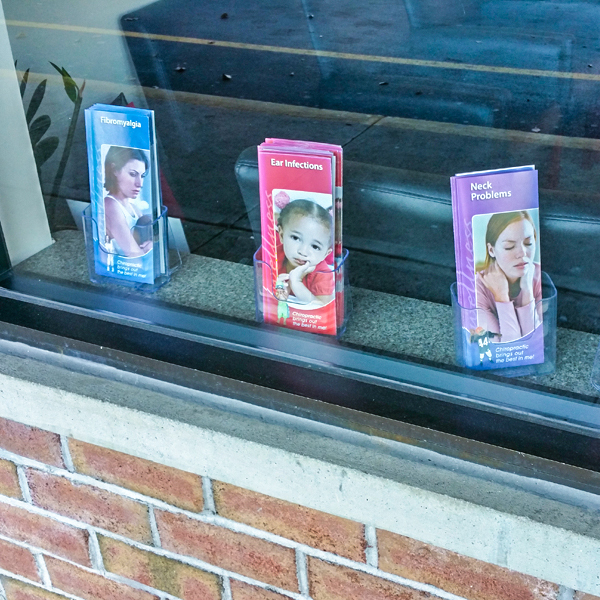 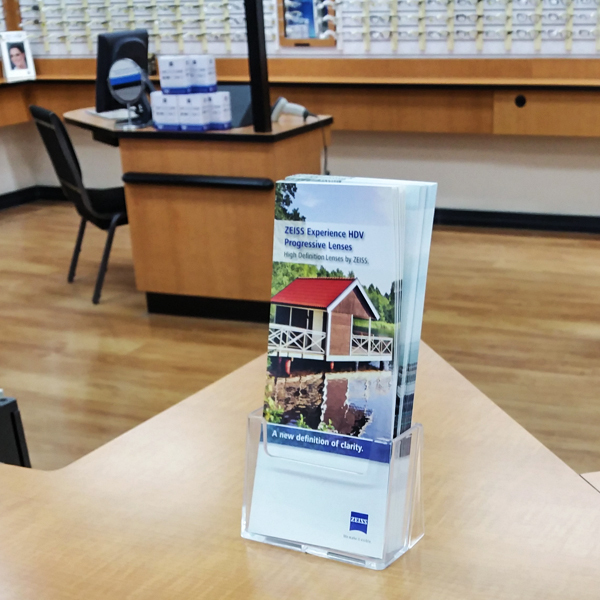 Our line of litearture and brochure holders run from table versions and wall mounts to ones that peel and stick to retail or trade show displays and even versions used for outdoor purposes such as take-ones for the real estate industry or a business after-hours.